In June, University student and rapper Rhys Podell ’16, who performs under the name Rhys Langston, released his first music video “Calculus Johnson” in collaboration with Los Angeles-based filmmaker Ryan Calavano. The video for the track has since gained an impressive five thousand views. Following his summer success, Podell released his new music video, “Resident Harebrain,” a technically impressive piece shot around Podell’s home city of L.A., last Thursday. There are some stark stylistic differences between the two tracks. “Resident Harebrain” has a much more complex beat behind it, drawing in a steady range of samples, while Podell’s rapping comes off as more animated and energetic. 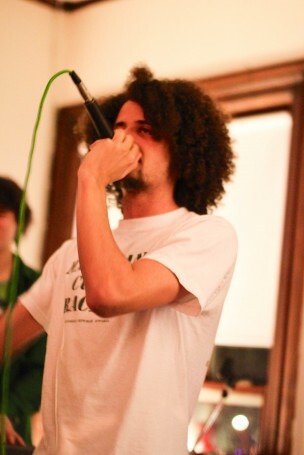 “Resident Harebrain” is not only the name of the song, but also the alter ego Rhys embodies throughout the song. In total, he has four different personas, drawing from each one at different occasions in his musical process. The core persona of Resident Harebrained is essentially that of a misunderstood roadside prophet, the kind whom everyone assumes to be crazy from his appearance. Hence, he walks an odd line between method and madness. The video was shot in Los Angeles, split between two locations, each bringing a different feel to the video. The video features Podell dressed in a suit walking around downtown L.A., intercut with shots of Venice Beach, where Podell decided to embody his demented creation. The video also speaks heavily to the talent of its director. Calavano has primarily worked with music videos, completing a large number of projects with the rap label and group Dirty Science. Both “Resident Harebrain” and “Calculus Johnson” highlight a frenetic combination of shooting, editing, and even some animation. When stepping back and taking a look at what he’s accomplished, Podell had some reasonably modest goals for the project, hoping for at least a couple thousand views and possibly even a mention on a few music blogs. In terms of his future work, Podell made care to emphasize the importance of prudence.